Home / Replacement Windows / The Key to Replacement Window Buying is Knowing What Choices You Have? The Key to Replacement Window Buying is Knowing What Choices You Have? Double-Hung replacement window is a double unit has two operable sashes that slide vertically. These can be custom ordered if needed? These windows are effective air circulations. They can be considered the most appealing window as far as looks go. Single-Hung replacement window is like the double-hung but one single unit. This is a good general window to be used through out your home. They are cost effective, and have a good curb appeal. Awning replacement windows are hinged on the top and swing outward. They usually have a crank handle. They also can have fixed picture windows. They can bring natural light in your home. They are a good choice for any style home, and are becoming very popular. 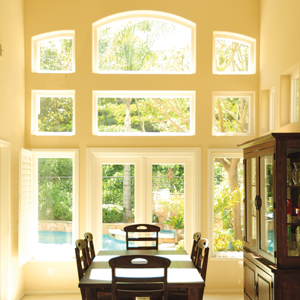 Casement replacement windows are side-hinged windows that swing outward to open. Casement windows are one of the most energy-efficient units, and can come in a variety of looks. Picture Windows are large expanses of glass that can’t be opened or closed which means they are fixed. These replacement windows will give homeowners a great view, and let in natural light. We find these windows are used above doors in the foyers in vaulted areas. They are common in vaulted ceiling rooms, and are very popular and affordable. These are just a few choices for your homes replacement window needs. You can customize windows for your home and lifestyle. They offer long-lasting beauty, performance, and energy-efficiency. Please click on the link below for more information.